2. 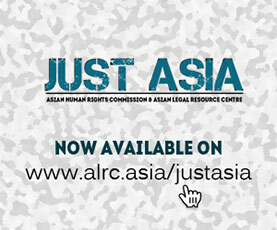 Between 2012 and 2015, the ALRC’s sister organization, the Asian Human Rights Commission (AHRC), has documented and reported 41 cases of torture and ill-treatment in Indonesia through its Urgent Appeal Desk. The perpetrators of such torture are largely police officers, military personnel, and prison guards. 3. Torture is conducted along a few patterns in Indonesia, with the most common torture pattern being that which occurrs in police custody, as a method to obtain confessions from suspects. The AHRC has documented and reported one such case from Widang Police Sector, Tuban regency, East Java province. Fiki Arfiando (13), an underage victim, was tortured to death by police officers in the Widang Police Sector. The police arrested Arfiando without any arrest warrant, and, without proper investigation, forced him to confess to stealing a motorcycle belonging to his neighbor, Mr. Husen. According to the report from a local hospital, Arfiando was injured under his eye 3 x 1 cm and under his right eye 0.5 x 0.5 cm as a result of torture (AHRC-UAC-094-2015). 4. Torture also occurs frequently due to the absence of lawyers; a majority of victims cannot afford to pay for lawyers. Mr. Abdullah was one such victim who died as a result of torture, as he could not afford a lawyer. Police officers of the Municipality Police (Polrestabes) and the Tamalate Police Sector (Polsek Tamatale), Makassar, South Sulawesi Province, repeatedly beat and slashed Mr. Abdullah as he refused to confess to stealing a motorcycle and laptop (AHRC-UAC-137-2015). This led to this death. 5. Another pattern of torture is that related to revenge. In the case of Mr. Aslin Zalim (AHRC-UAU-006-2015), who was tortured to death in Bau-Bau Regency, South East Sulawesi Province, for instance, Mr. Aslin was tortured for redirecting vehicles in traffic at a time when Joko Krisdianto, Chief of Bau Bau Police Resort was stuck on the road. Subsequently, Joko was angry and telephoned his subordinate to arrest Azlin. In another case documented by the AHRC, (AHRC-UAC-003-2016), due to ill-feelings towards local Papuans, police in Papua arbitrarily arrested and tortured three indigenous Papuans, Elieser Awom (26), Yafeth Awom (18), and Dan Soleman Yom (24). According to the victims, the police officers consumed alcoholic drinks before and during the acts of torture. 6. As seen in several cases already mentioned, torture frequently results in the death of victims. In the last one year, the AHRC has documented seven cases of torture resulting in the death of the victims. One such case reported in 2015, is based on torture that occured in 2011 in Samarinda City, East Kalimantan Province, of 16-year-old Ramadan Suhuddin (AHRC-UAC-065-2015). Ramadhan and his six friends were arrested due to alleged motorcycle theft, and they were arrested and brought to Samarinda Municipality Police Office, without any arrest warrant. Since 2011, the legal process is ongoing. The process is moving slowly, and Ramadhan’s family has yet to get justice. 7. Over the past year, the ALRC has also noted that the torture of drug dealers has been frequent. Two such cases have been documented by its sister organisation: one involves the brutal torture of Mr. Suhaili by the Police Drug Force of Bangka Police Resort, which resulted in his death (AHRC-UAC-097-2015), and the others involves the burning alive of drug dealer Mr. Sudirman by Brigadier Sony Saputra, a police officer of the Karimun Police Resort (Polres Karimun), and the Brigadier’s friends. Mr. Sudirman’s case showed that police officers are also involved in the illegal business of selling shabu-shabu (crystal methamphetamine) and marijuana (AHRC-UAC-095-2015). 8. The Indonesian Government has taken baby steps to address the inadequacies of the legal system in dealing with torture. Indonesia’s new penal code has been in the drafting process for around 10 years, and, as of now, only the first chapter has been completed. The AHRC, along with its local partners, has been trying to lobby for the regulation of punishment of torture in the new penal code. While far from ideal, such a provision has recently been made. 9. The promulgation of Law. No 16 of 2011 on Legal Aid has yet to make it effective in reducing torture, especially torture in police custody. Though the law mandates the government to provide a State budget and appoint pro bono lawyers to assist suspects, in practice the provisions remain unclear. Moreover, the police and public prosecutor have yet to officially adopt the law. The Minister of Law and Human Rights should therefore prioritise integrating the law into the internal policy of law enforcement agencies. 10. Besides the slow drafting of the new penal code, the ALRC also notes that the Parliament has refused to consider a torture bill in the national legislation program, arguing that punishment of torture cannot be separated from the new penal code, and therefore a separate bill on torture should not be considered. d. Send an official invitation the UN Special Rapporteur on torture and other cruel, inhuman or degrading treatment or punishment for a country visit. e. Mandate that any evidence obtained by torturing suspects is deemed illegal and something that cannot be used to indict the suspects.